The annual SAL New South Wales Golf Day, held at the Coast Golf Club on Wednesday 13th March was a great success. The forecast rain held off until near the end of the event and there was a good attendance. Players were rewarded with spectacular views of the coast and ocean. There was some excellent play in a very tight competition with the first three teams only separated by half a point! 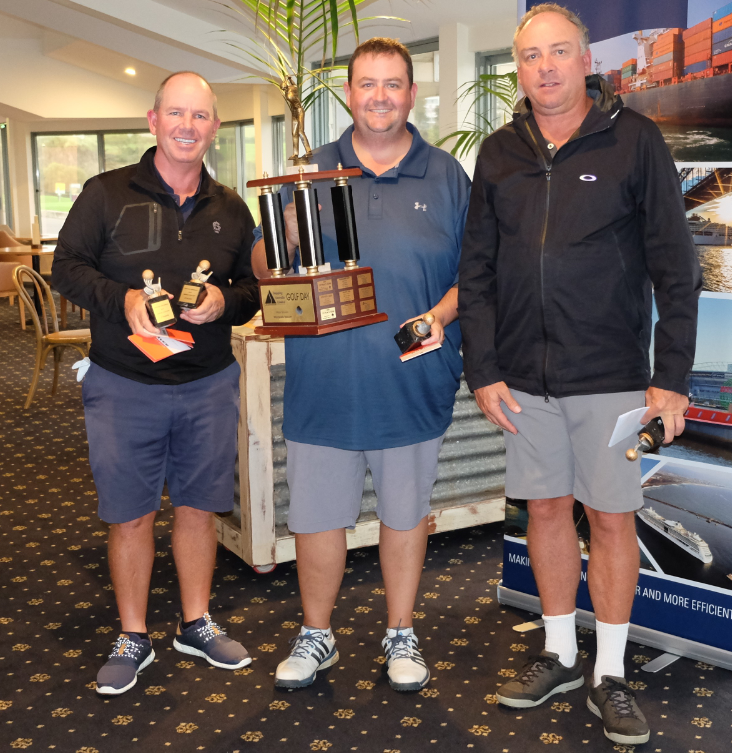 A big congratulations to the Collinson Forex team (pictured below), headed up by John Collinson who, despite being the lowest handicap team (7), finished the day as our 2019 winners. Their class had them coming in 16 under the card, with 56 points from 63 strokes. Seaway (Todd Sams) also on 56 points were placed second on a count back with 65 strokes. Third placed team were Patrick (Ashley Dinning) with 56.5 points. A very close finish! We’re sure that it will be a tough contest again next year! The longest drive was won by Todd Sams (13th hole) from Seaway, and the nearest the pin prizes were won by Kris Kennedy from Smit Lamnalco (4th hole) and Steve Moxey from On-Time Publications (8th hole). The day finished with a sumptuous buffet and drinks at the 19th hole. Many thanks to our fabulous hole sponsors, whose generous support made a great day possible – Asiaworld Shipping, Evergreen Line, QUBE Logistics, Smit Lamnalco, SWIFT Transport, Seaway and SVITZER. QUBE Logistics and Svitzer also donated prizes. The professional team at The Coast Course ensured that a great day was had by all.